In 2013, NeuroNation was awarded the Leonardo Award for Digital Prevention by the German Federal Ministry of Health and the German Health Insurance Company AOK. The award recognizes NeuroNation’s efforts in developing exercises that enhance mental health. Going jogging for the first time is hard work. You wouldn’t possibly dream of running a marathon just one week after starting to jog around the block. This is similar to brain training. Studies have shown that training will only be effective if it is personalized to adapt to your individual performance: as you get better at the exercises, the training becomes more difficult. This is important in order to keep you constantly challenged but not overwhelmed. Even the best training is not effective if you don’t follow through with it. Motivation is a critical ingredient in getting the results you want. NeuroNation works hard to ensure you enjoy the exercises and stay motivated. Running on a treadmill every day can easily become boring; whereas playing soccer, doing yoga or going rock climbing makes exercising fun. The same is true for brain training – there is a variety of exercises for you to try out, instant progress reports and comparisons to other members of the same age and gender, a social network, and a personalized training plan tailored to your own goals and needs. Talk about fun and effective training! Imagine this: you see a man training his biceps every day at the gym, but he doesn't train the rest of his body. He will probably look quite disproportional after a while. This is similar to brain training: It is important to train different cognitive functions in order to improve your overall mental fitness. That is exactly what NeuroNation exercises offer. Our MemoWork course, for example, is specifically designed to train a large spectrum of different cognitive functions. Does NeuroNation really work? Scientists say yes. 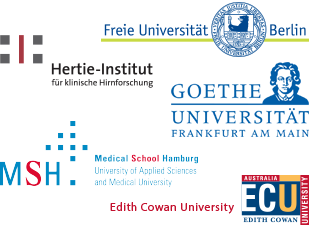 NeuroNation has collaborated with many German and Austrian scientific institutions to examine its effectiveness. 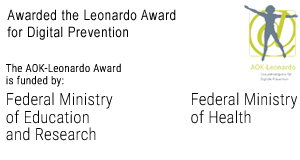 In 2013, NeuroNation received recognition from the German Federal Ministry of Health.